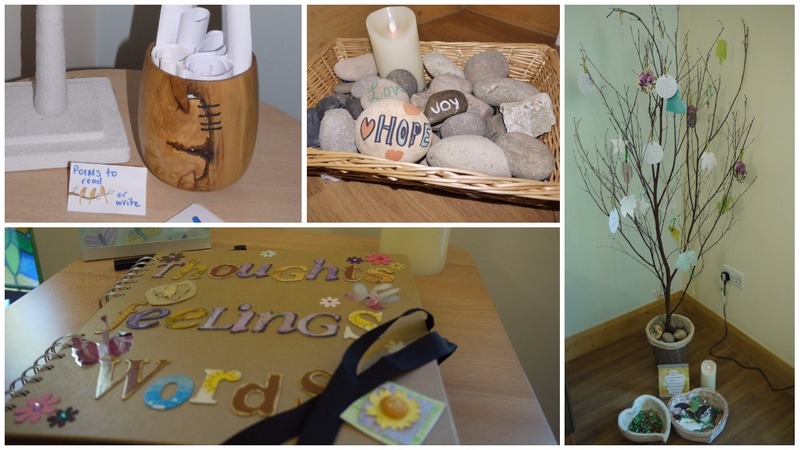 Our Hospice Quiet Room has many comforting features for the patients, families and friends who use it. These include a selection of ways for users to write special messages, any thoughts or emotions they may be feeling, or even writing messages to their loved ones. We also have a prayer tree, where users are able to hang their messages to loved ones and many people take great comfort in doing so. 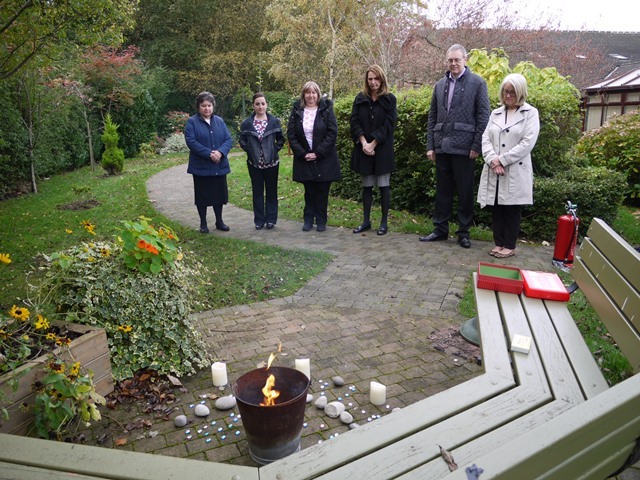 Our Family Support Team holds a special ceremony in the Hospice Garden on All Souls Day to honour these messages. The ceremony involved a short service led by our Pastoral Support Worker, Mark Pringle, and staff and volunteers were invited to attend. 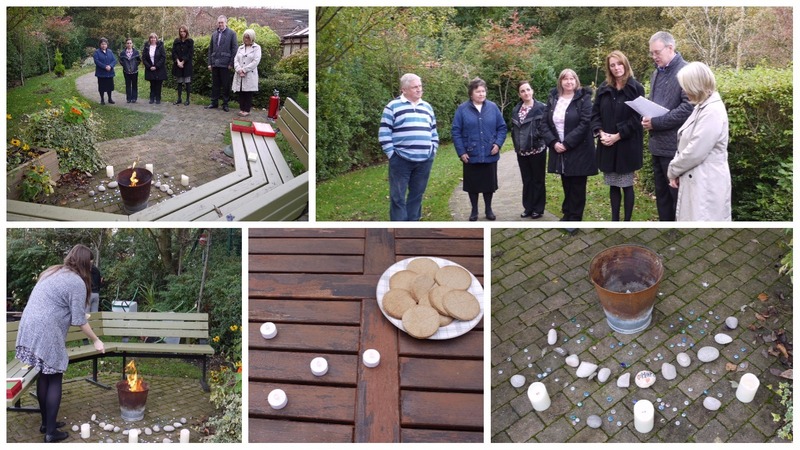 Following Mark’s words, each message was burnt, with the ashes being scattered around the Hospice garden. Mark explained, “We have so many messages that it’s impossible to keep them all. So rather than discard them, we hold this special ceremony to release the words of love and hope in a respectful manner”. We call you, and welcome you to join this ceremony. You watch over us always, protecting and guiding us, and today we thank you. Following the service, staff and volunteers enjoyed some refreshments and ‘Soul Cakes’ made especially for the occasion by our Chef, Billy Cook using a traditional recipe. Click here to find out more about the Family Support Team at Woodlands Hospice and their services.